This article first appeared in The Edge Financial Daily, on April 9, 2018. Some 500 lively participants attending The Edge Investment Forum on Real Estate 2018. PETALING JAYA: An exuberant crowd of around 500 participants attended The Edge Investment Forum on Real Estate 2018 on Saturday morning. 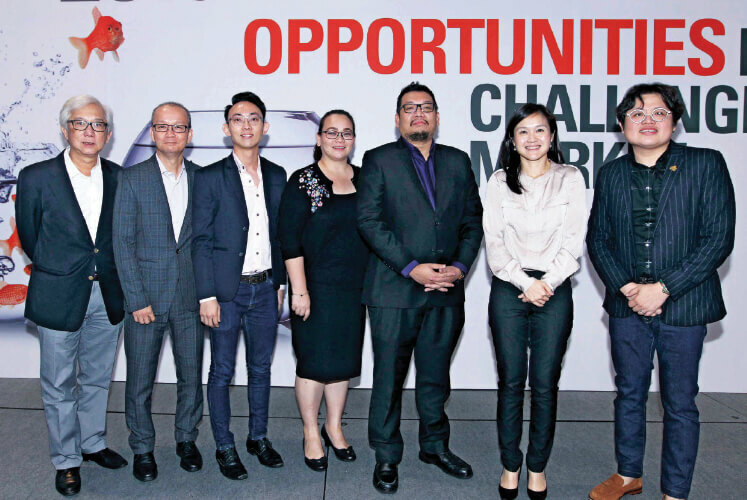 The annual forum with the theme “Opportunities in a Challenging Market” was held at the Sunway Pyramid Convention Centre in Petaling Jaya. 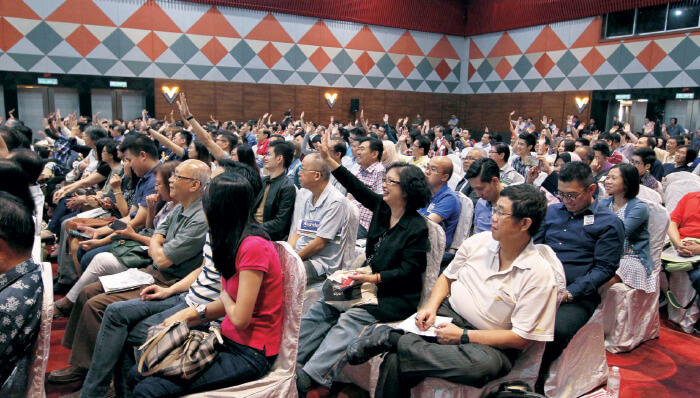 Organised by City & Country, the property pullout of The Edge Malaysia weekly, it was the 12th edition of the forum. It was presented by Sunway Property and supported by EdgeProp.my. City & Country editor Rosalynn Poh in her opening remarks acknowledged some concerns property investors may have in the current market, such as if it is a good time to buy, whether property prices will go down and how the rental market is performing. “Despite these concerns or questions, we still hear of really well-received launches — some fully booked within a weekend or two, or some really good deals on the secondary market,” said Poh. The engaging panel of speakers at the forum comprised CBRE | WTW managing director Foo Gee Jen, Sunway Bhd managing director of property division Sarena Cheah, Reapfield Properties group chief operating officer Jonathan Lee, Real Rockstar Coaching real estate coach, trainer and entrepreneur Raphael Wong, as well as Chur Associates founder and managing partner Chris Tan. It was the secondary market that drove prices and trends last year, said Foo, noting that the retail and office markets did not perform well. Nonetheless, he believed there is still an undersupply of housing, especially affordably priced ones, and that the overhang situation is mostly due to the mismatch in pricing. “In general, almost 60% of the overhang units are above RM400,000 and 30% are stratified properties. “We currently have 5.1 million residential units over a population of 30 million. Based on an annual population growth of 1.3% as of 2016, we will need 97,500 units of new houses each year based on an average household size of four. As annual completion of houses has been at 78,216 units in the past five years, there is still an undersupply in the residential segment,” said Foo. Presenting his topic “Renting to millennials 101: What do they want?”, Wong of Real Rockstar Coaching noted that only 33% of millennials — also known as Gen Y, those between the ages of 24 and 38 — are able to afford a property, based on HSBC’s first beyond the bricks study, and that 86% of millennials in Malaysia rate high cost of living as one of their top three biggest concerns along with unaffordable property prices and the inability to save, according to an iMoney.my research. Should millennials buy or rent then? Wong said the two strategies are to either invest to sell or invest to rent. “If you cannot sell, rent it out to generate better cash flow,” he advised. According to him, some of the things millennials look for in a property include being digitally engineered, eco-friendly, equipped with social spaces, near entertainment and is pet-friendly. Areas popular among this generation group include Bandar Sunway, Bangsar South, Petaling Jaya (specifically Section 13), Mont’Kiara and Setapak. In her presentation “Investment Opportunities: Where & What?”, Sunway’s Cheah maintained that “location, location, location” is still the mantra of real estate, attributing accessibility and connectivity, surrounding amenities, the community of services and commercial activities, and being a smart and sustainable city to a good and thriving location. Cheah said that the developer wants to offer holistic developments, and in this slower market, go about retaining and growing the value of their developments. Citing Sunway Velocity as an example, she noted that 60% of the development is owned and operated by the developer, which enables it to continue adding value and grow the development. “We find that the development, anchored by the Maluri and Cochrane MRT (mass rapid transit) stations, has worked out quite well. “We want to offer everything in one place. Our hospital will open [at the] end of next year, the hotel has just opened, the shopping mall is opened, we have sold the residences for people to live in, we are moving our education group over to offer a city campus, and we have offices there,” she added. He suggested that the current buyers’ market is also a tenants’ market and could be an opportune time to join the rank of landlords. “We will see more people renting. If you go to any developed cities, most rent,” he said. He reminded investors that there are four things one can do with property — buy, sell, use (rent) and borrow — and to identify what resources they have but do not use and leverage on that. “Always push your boundaries and try your luck by asking questions. Sellers are motivated these days,” he said.